What’s the difference between coving and cornice? 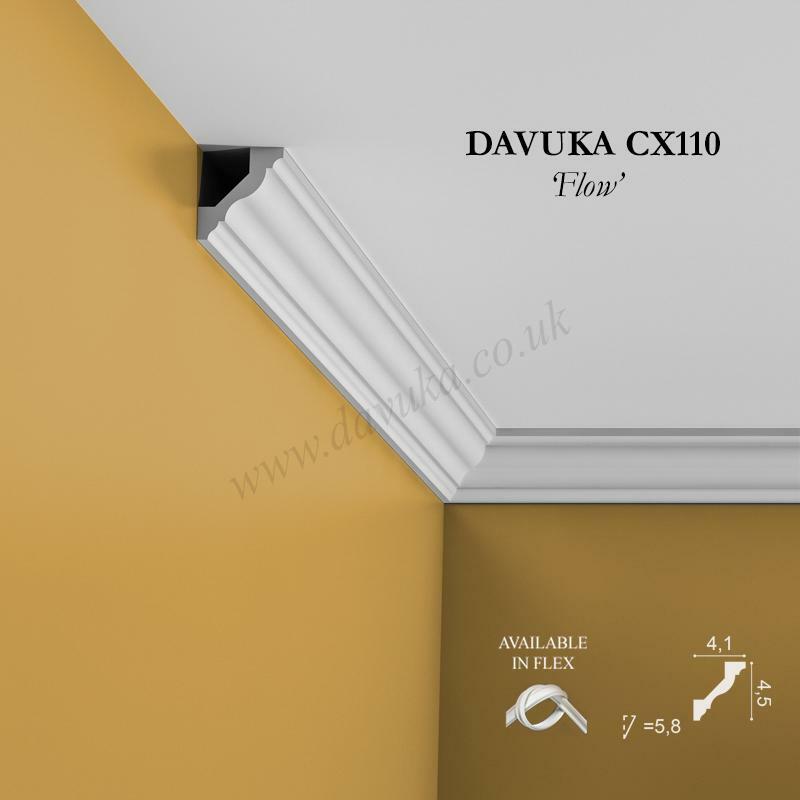 Whilst not an absolute rule, coving is the term that is often applied to a ceiling moulding that is generally uniform in profile, i.e. it projects across the ceiling the same distance as the drop down the wall (so it could be 10cm x 10cm for example). 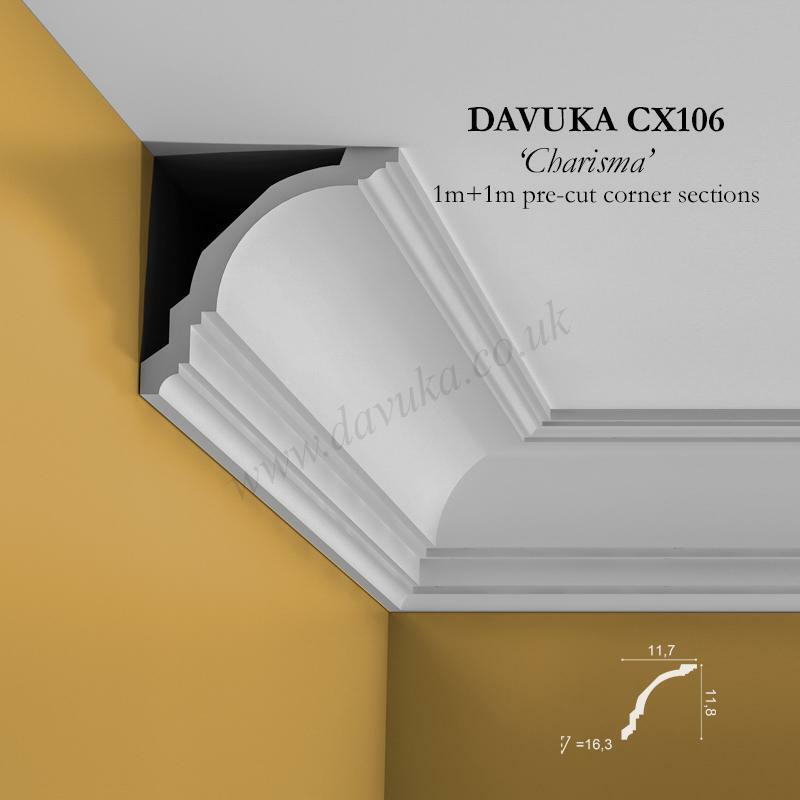 It tends to be simpler in design than cornice and is typically (though not necessarily) formed around the traditional quarter circle ‘C’ profile. 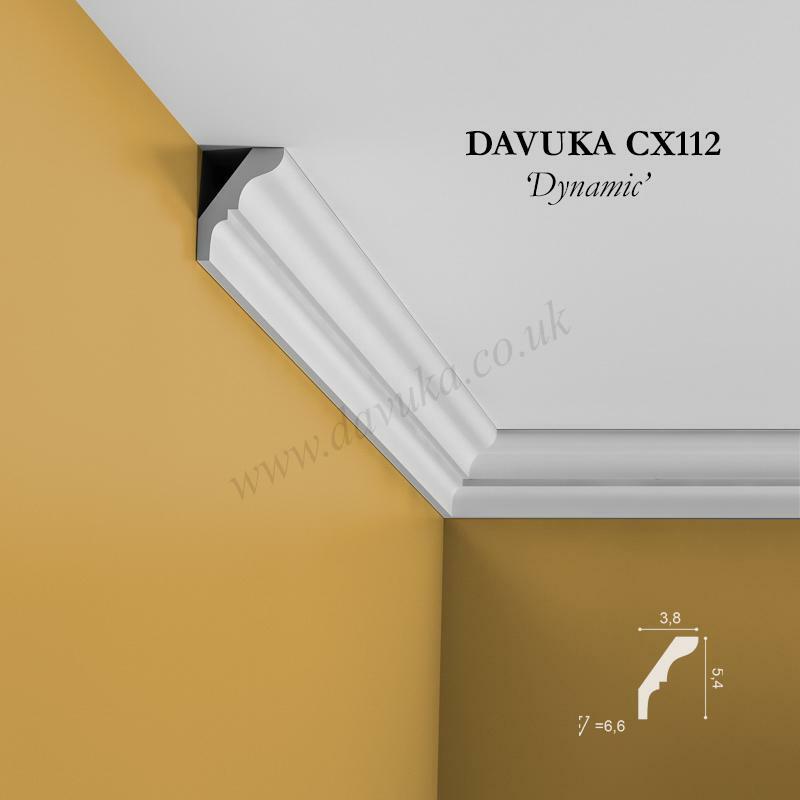 Coving profiles tend to come in different sizes, the most common of which is 5” (127mm). This measurement often cause confusion – it refers to a straight line drawn across the diagonal from wall to ceiling. 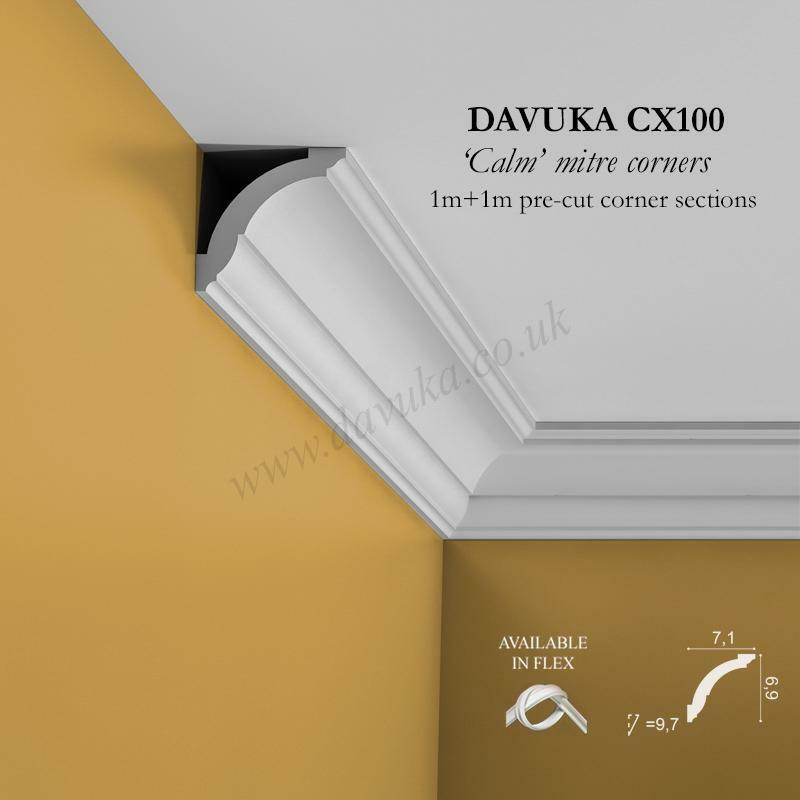 It is not the height or projection of the coving (which is 80mm x 80mm for the 127mm cove). Most house builders in the post war period installed this plain cove because it was simple and effective – and very cheap to make. It is still probably the most common coving in Britain. 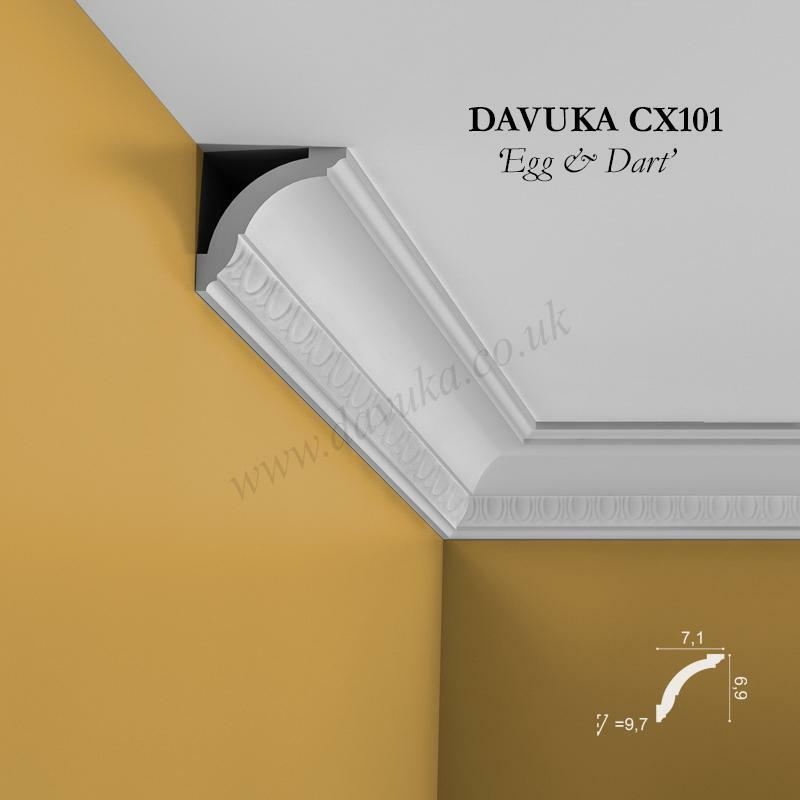 Cornice on the other hand tends to be more ornate and is less uniform dimensionally (though it could potentially still have the same projection and drop). 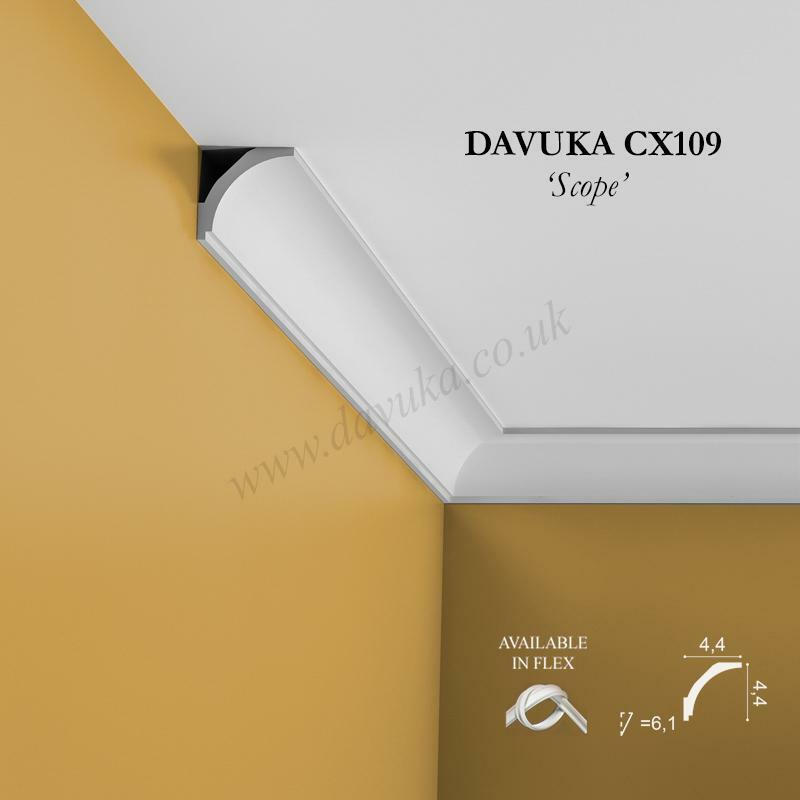 So a piece could be 150mm across the ceiling but only 100mm down the wall (or vice versa). And the shape of a cornice can be very complex indeed, with different “ins-and-outs” and a wide range of designs and patterns reflecting the changing architectural fashions of the time. Plaster (often using lime or hessian backing) would traditionally have been the manufacturing material. However the inherent problem with plaster is that it is both very heavy and brittle. Problems would occur when hanging this weight from the ceiling. Any subsequent movement in the wall or ceiling often meant unsightly cracks would appear, and – at worse – sections falling off. The solution in the 1970’s was the use of polystyrene which, whilst cheap and easy to install, was visually inferior and soon fell out of favour. Technology has dramatically improved in recent years and the industry chosen material is now hardened polyurethane. This has the visual beauty of plaster coving but without the disadvantages of the heavy weight and fragility. It is best described as being like ‘light wood’. A nice clean and sharp edge is achieved by cutting with a standard medium tooth cross-cut saw. Joins can be made virtually invisible using a small amount of Decofix Extra joint adhesive, filler where necessary and a final finish of paint. 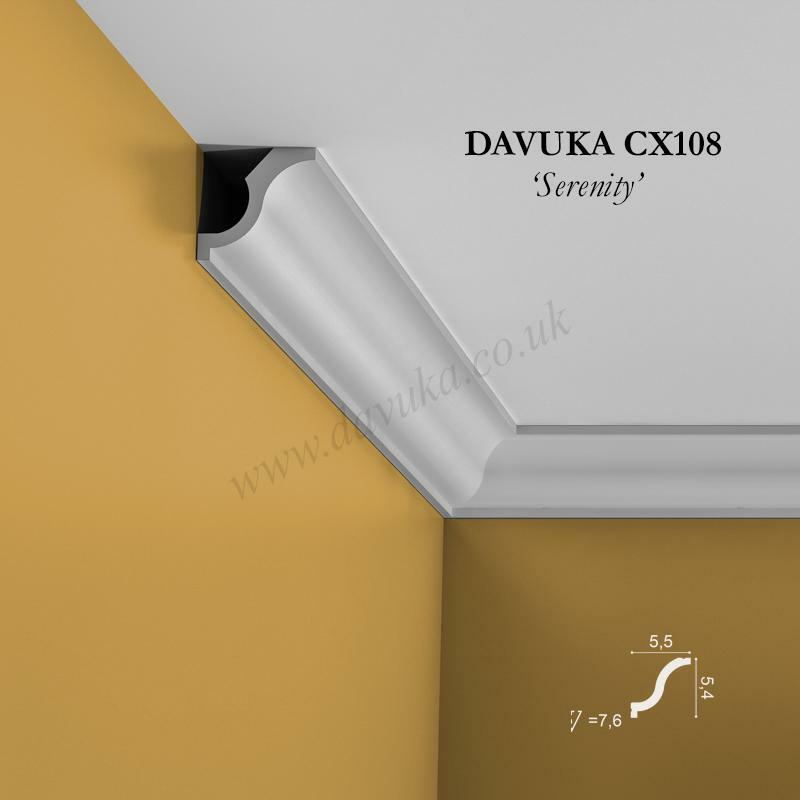 The lightweight nature of the material means that polyurethane coving only requires adhesive to fix to the wall so no screws are necessary. A DIY enthusiast can easily do an installation in a day without extra or professional help. The undercoat/primer is already applied so it is ready to be painted with a final finish coat, saving both time and money. If you need any further advice about what is appropriate, we are very happy to discuss your requirements with you – please call us on 020 8660 2854. Samples of each profile can be ordered on-line. You can also see our Coving Installation “how to” videos on our YouTube channel.